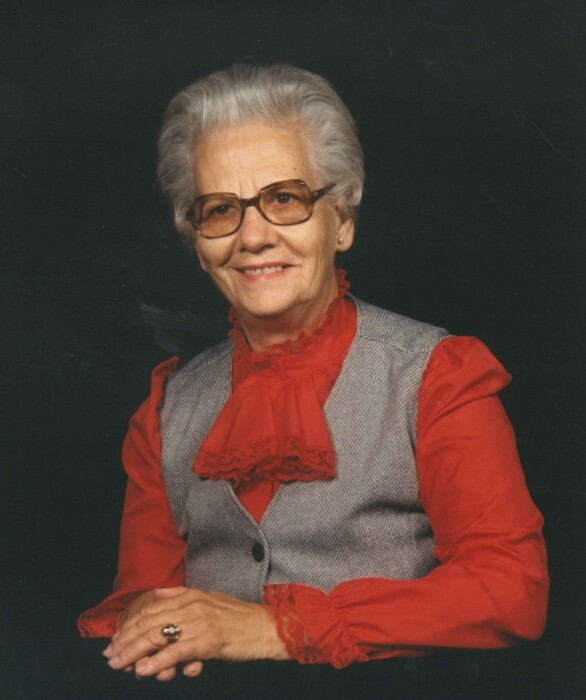 Obituary for Alvin Sarah (Floyd) Gann | Whitwell Memorial Funeral Home, Inc.
Alvin Floyd Gann, age 97, of Whitwell went home to be with her Lord, Thursday, February 7, 2019. She is proceeded in death by her husband, Woodrow T. Gann; son, Wendell E. Gann; parents, John Thomas and Rachel Ellen Floyd; brothers, Lawrence, Albert, Jim, Bob, Chet, Ernest, and Tom Floyd; sisters, Isabell McDowell, Hallie Holcomb Link and Nell Kilgore. She attended Burk’s Untied Methodist Church and retired from Dixie Yarns Mills. Those who will hold her memories close are her children, Lois (Don) Baggett and Wilma (Ken) Skiles; grandchildren, Angela Gann, Tammy (David) Lewis, Lisa (John) Grant, Kristie (Jeff) Fike; great grandchildren, Garrett, Madison and Lyndon Mays , Alyssa (Justin) Cross, Taylor Fike, Mason and Avery Grant, Elise Hartley, Mady and Casey Lewis. ; great-great grandchildren, Adalynn, Charlotte, and Hazel Cross. The family will receive friends 3-8PM, CST, Sunday, February 10, 2019. Funeral services will be 12PM, CST, Monday, February 11, 2019 in the funeral home chapel with David Lewis officiating. Interment will follow in the Hamilton Memorial Gardens, Hixson, TN.